"Great Personal Communication. Explained Everything Clearly And Could Not Have Been More Professional." "Job Carried Out Quickly And Efficiently, Very Polite And Friendly." "Communication Was Excellent, Prompt & Very Helpful. Would Definitely Recommend." 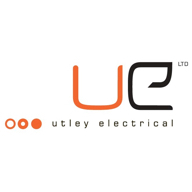 Need a Electrician in Wetherby?